After the recent economic recovery from the 2008 recession, many industries are experiencing growth. However, all good things must come to an end, and many experts are projecting a market correction, predicting that banks will employ tighter lending practices over the next few years. Bankruptcy filings, to include Chapter 11 filings, are likely to increase. How comfortable are you with the regulations on filing Chapter 11? What is the real difference between a Chapter 11 and other bankruptcy chapters? Do you know when a client could benefit from a Chapter 11? If your client is a creditor, how should you respond to a bankruptcy filing to protect your client’s rights? The Chapter 11 bankruptcy process is Code-driven, and can be confusing, complex, and unforgiving. Understanding how to spot the relevant issues and knowing what questions to ask can be a tremendous economic asset to a client; whether you represent a potential debtor or creditor, understanding the basic Chapter 11 process provides value. In this webinar, attorney Griffin Dunham will provide insight into basic bankruptcy concepts to improve attorneys’ ability to represent their clients. This webinar provides non-bankruptcy lawyers with the knowledge and tools necessary to effectively represent a client involved in a Chapter 11. What is the difference between Chapter 11 and the other bankruptcy chapters? Is my client a candidate for Chapter 11? My client just informed me a customer filed for bankruptcy. What should I do? What are the common pros and cons associated with Chapter 11? Is my client’s claim against a debtor nondischargeable? What Every Non-Bankruptcy Lawyer Needs to Know About Chapter 11 — is just $107. 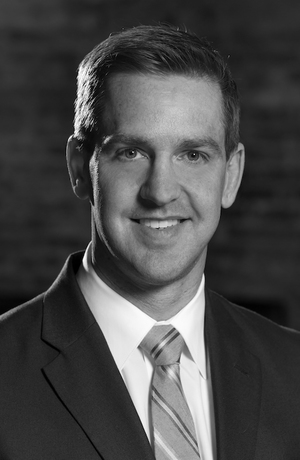 Griffin Dunham, with Dunham Hildebrand, PLLC, in Nashville, has been practicing law for 13 years. As a workout and bankruptcy lawyer, Mr. Dunham represents debtors to reorganize their businesses under Chapter 11 of the Bankruptcy Code. The first six years of his practice concentrated on trial and appellate work as a judge advocate in the United States Judge Advocate General (JAG) Corps. He has represented large and small businesses, business owners and officers, borrowers, guarantors, private equity investment firms, property management companies, risk management companies, commercial landlords, healthcare facilities, medical field companies, farmers, electric companies, construction businesses, and developers.